More than half of private firms would not hire public sector workers who have been made redundant as they do not have the right skills, a survey suggests. More than half of the 500 companies surveyed by Barclays Corporate and the Financial Times said they planned to create jobs this year. Three-quarters, though, said they did not think they would create enough to mop up those lost in the public sector. 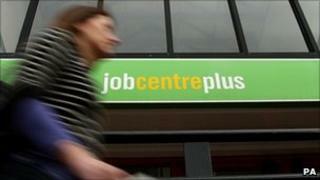 The government hopes the private sector will offset public sector job cuts. The Office for Budget Responsibility last November said it expected 330,000 public sector workers to lose their jobs over the next four years but it said the private sector would grow quickly enough to employ all those who had lost their jobs. The survey found that 57% of companies said they were not interested in former state employees, with 52% saying it was because they believed these workers were "not equipped" for a job in their business. "I think it's very dangerous, attaching labels to people based on where they've worked - [it] means you're going to miss out on potentially a lot of good hires," Kevin Wall, managing director of Barclays Corporate, told the BBC. The unemployment rate is now 7.9%, with youth unemployment running at 20.5% - a record high. Prime Minister David Cameron said unemployment, particularly among the young, was "a matter of great regret". Most analysts expect unemployment to rise in the coming months, largely because of public sector spending cuts implemented by the government, which are designed to bring down the UK's budget deficit.